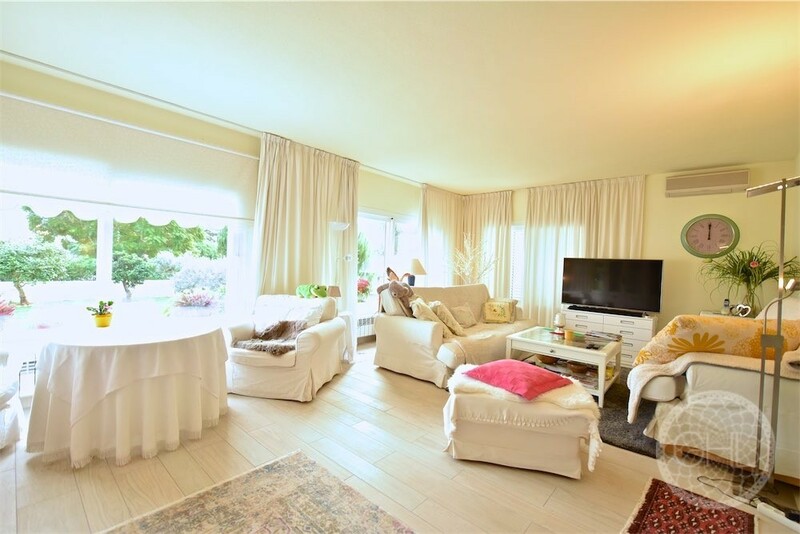 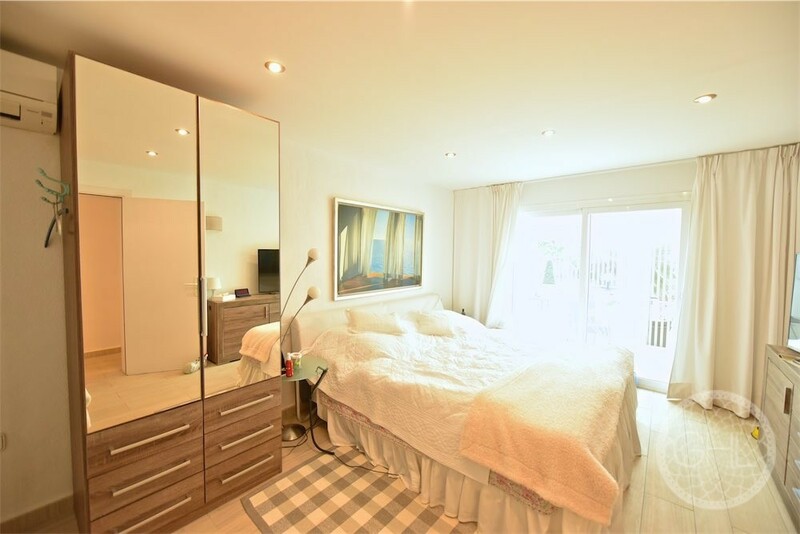 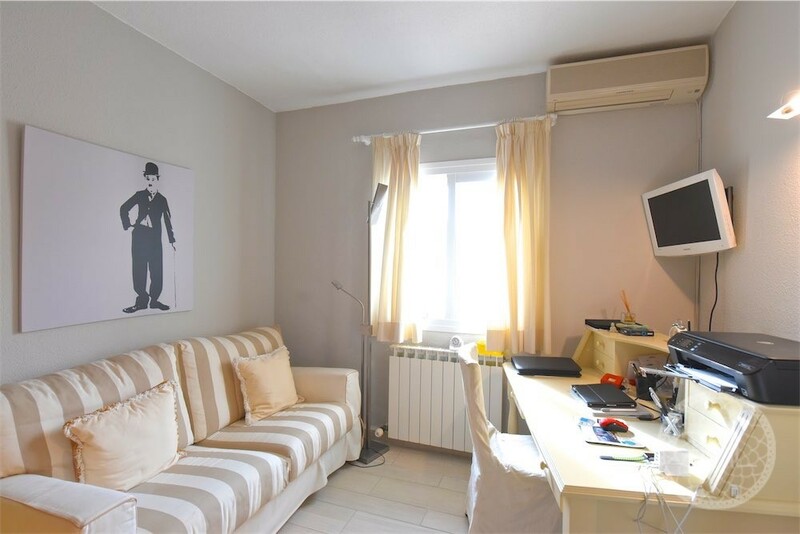 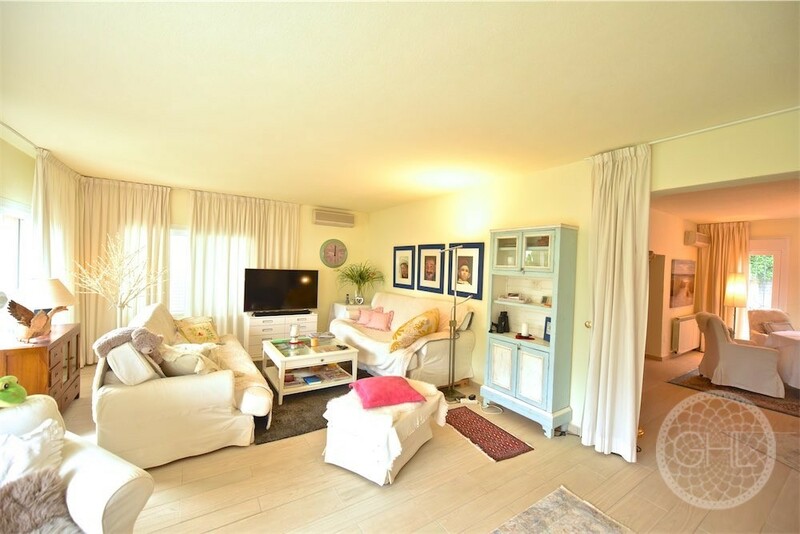 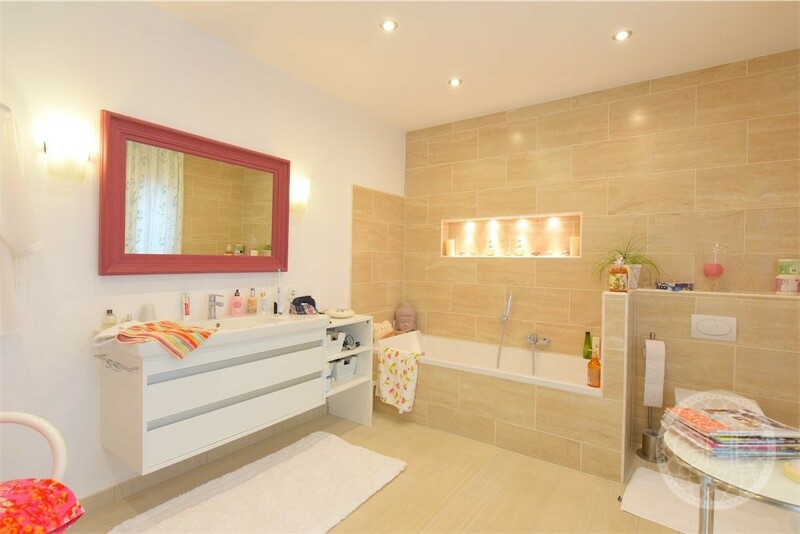 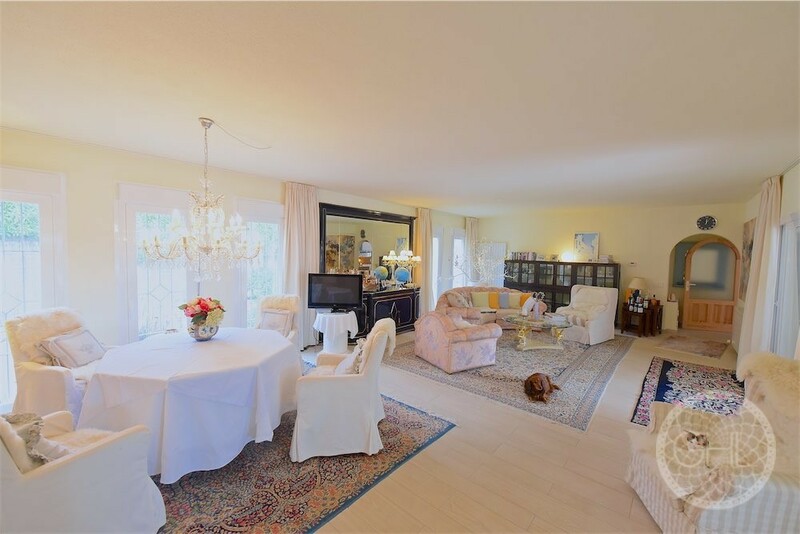 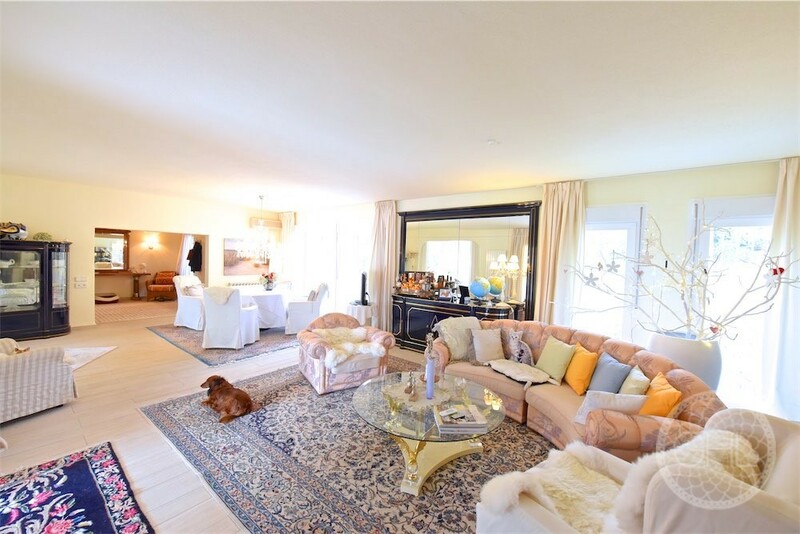 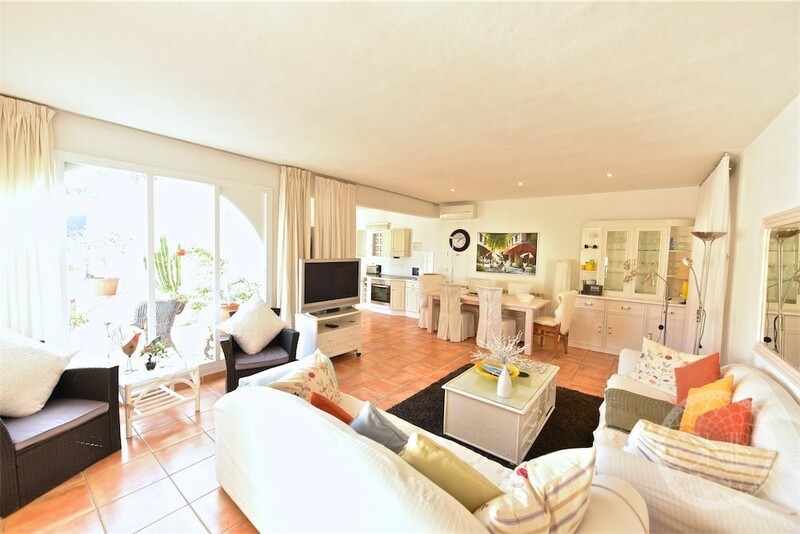 This modern villa is in very good condition, boasting a very airy feel all over its interiors. 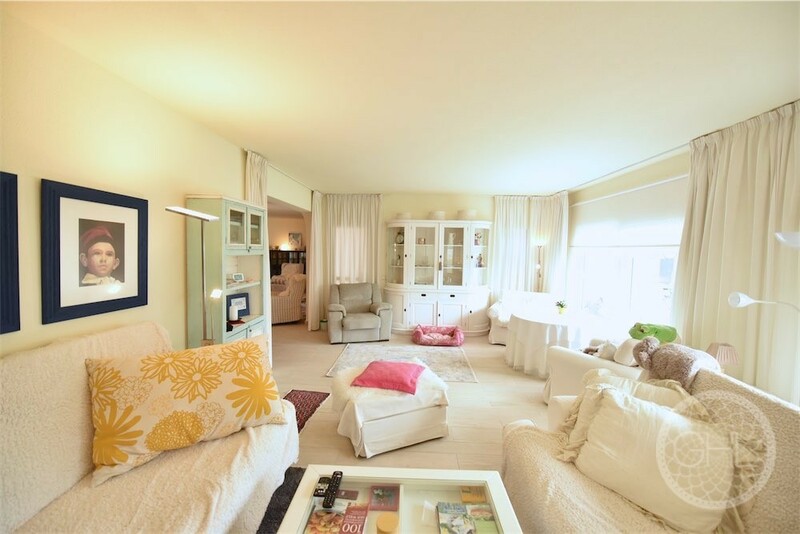 It is full of light, with a sunny summer look even in winter thanks to its ample glass doors and windows. 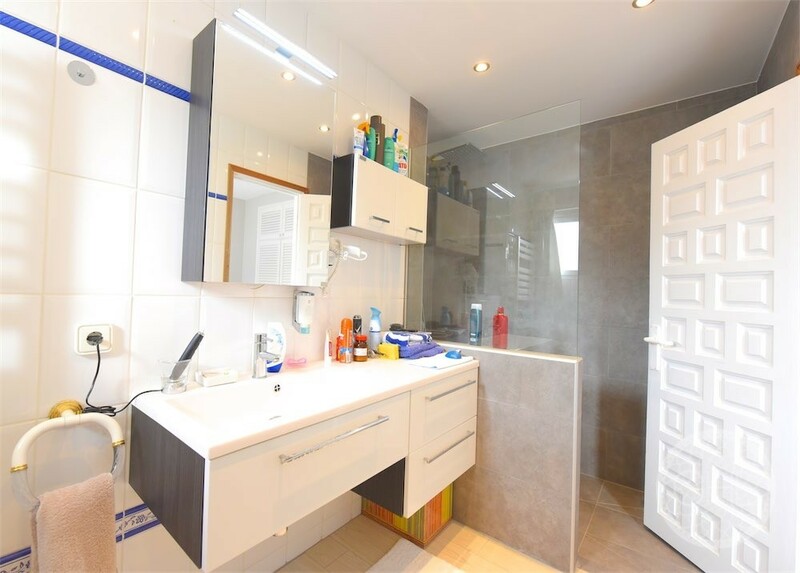 There is a very clean feeling throughout, with new finishings and appliances. 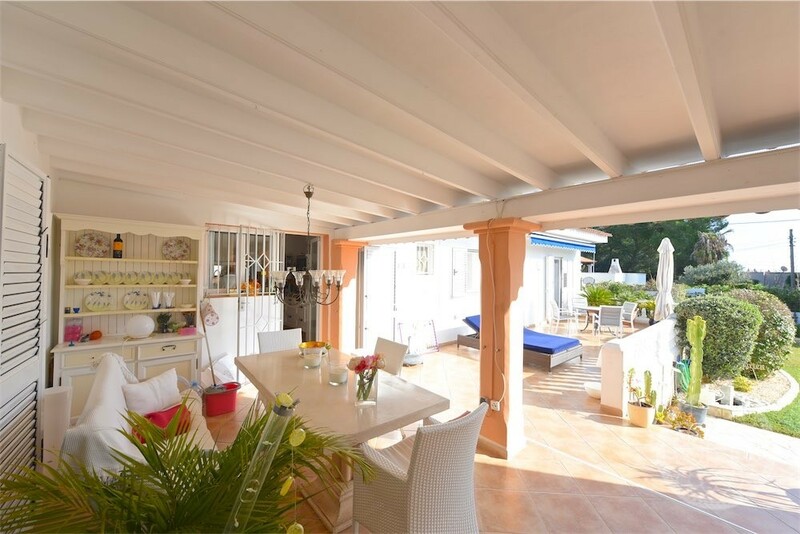 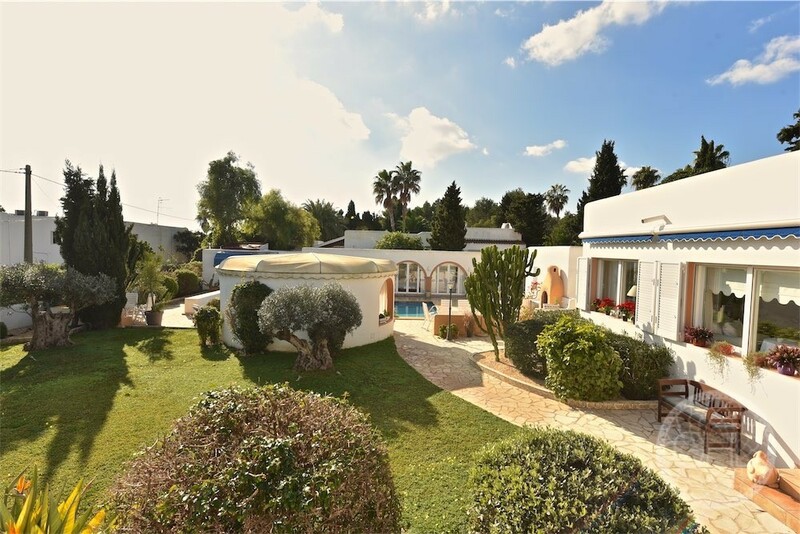 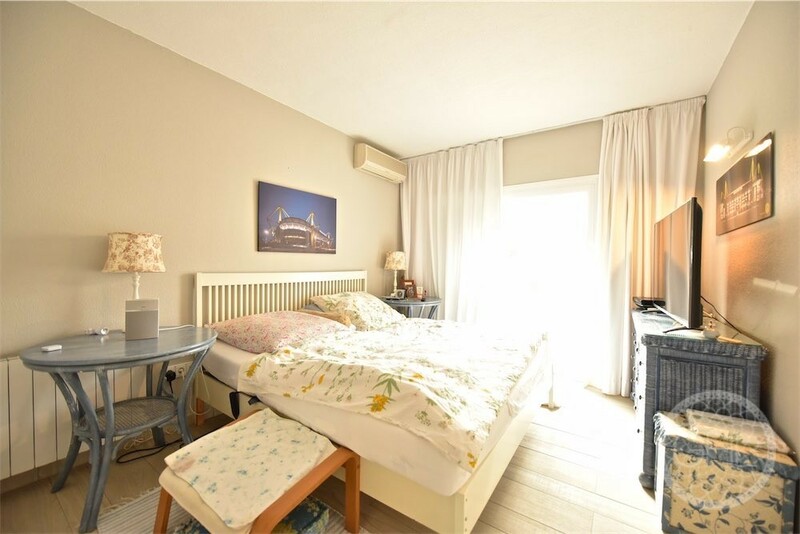 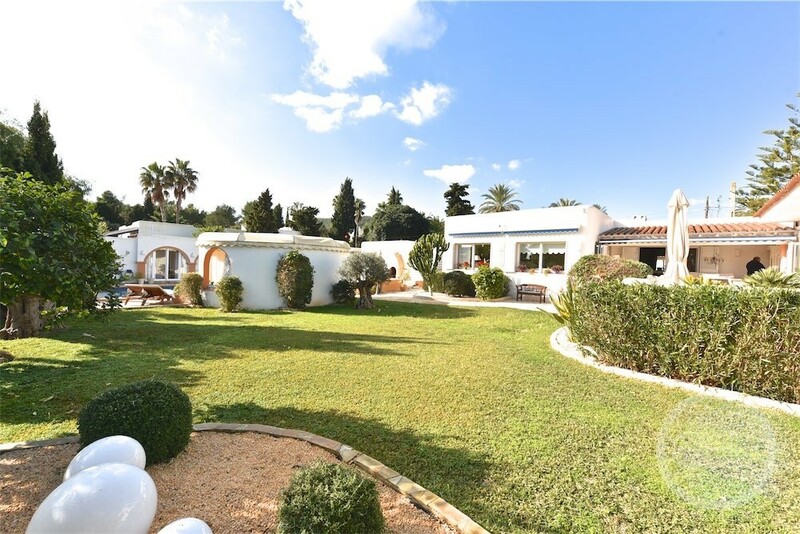 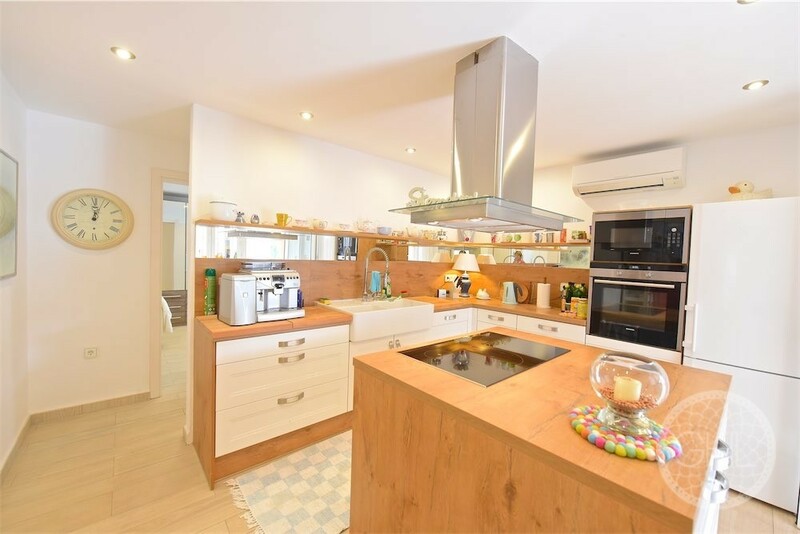 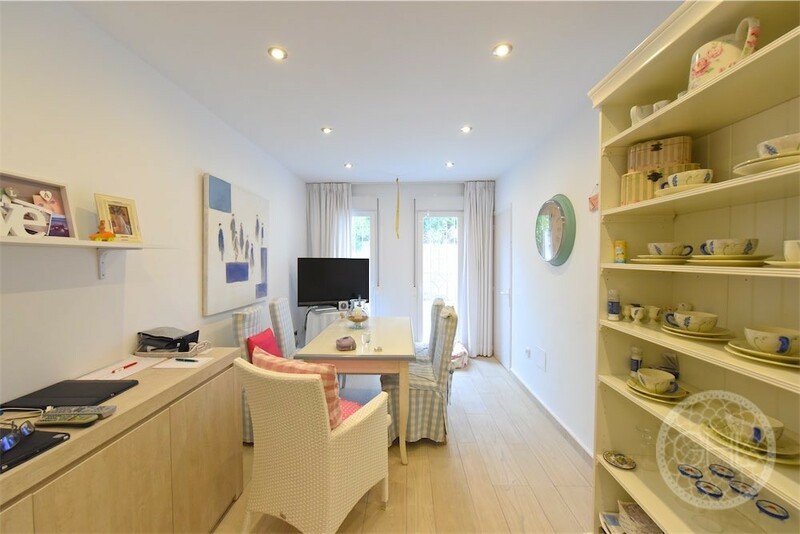 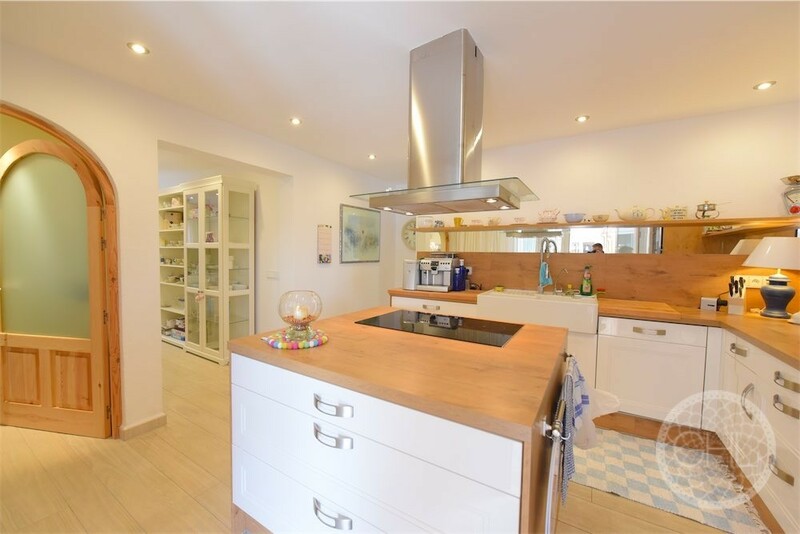 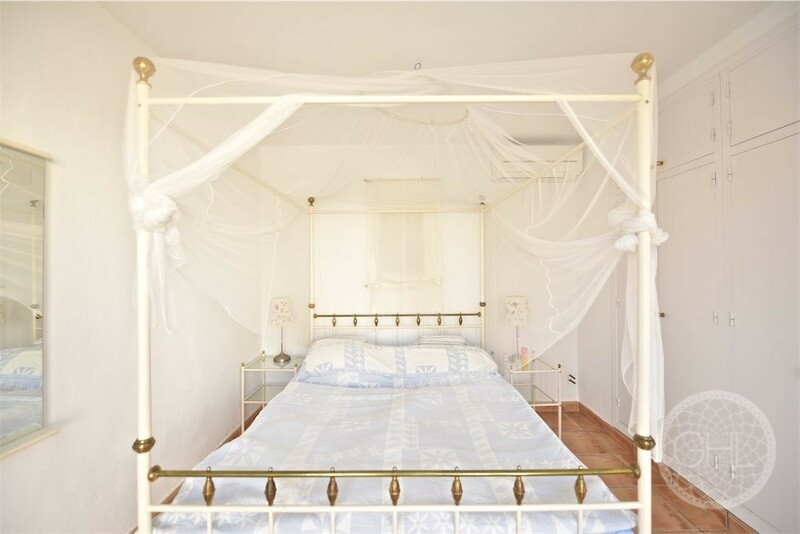 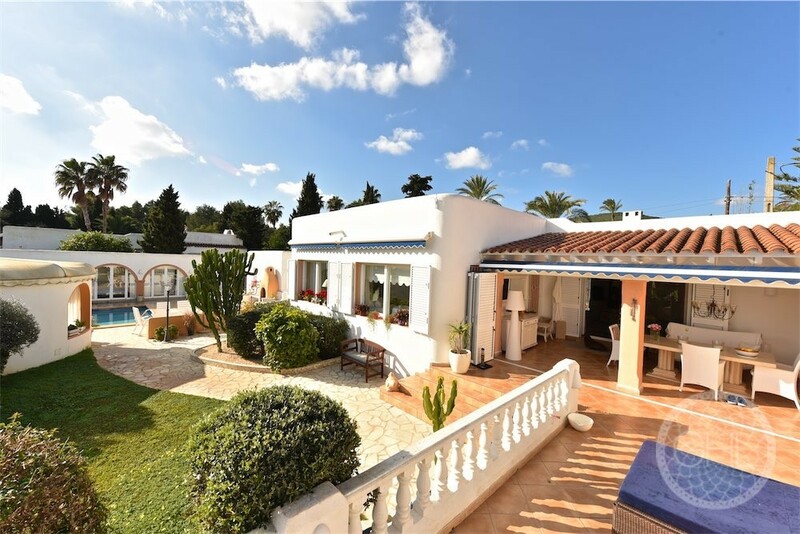 The property is nestled in walking distance to the stylish family town of Santa Eulalia, which offers plenty of choice in restaurants, shops and amenities, as well as the broad boardwalk and beach. 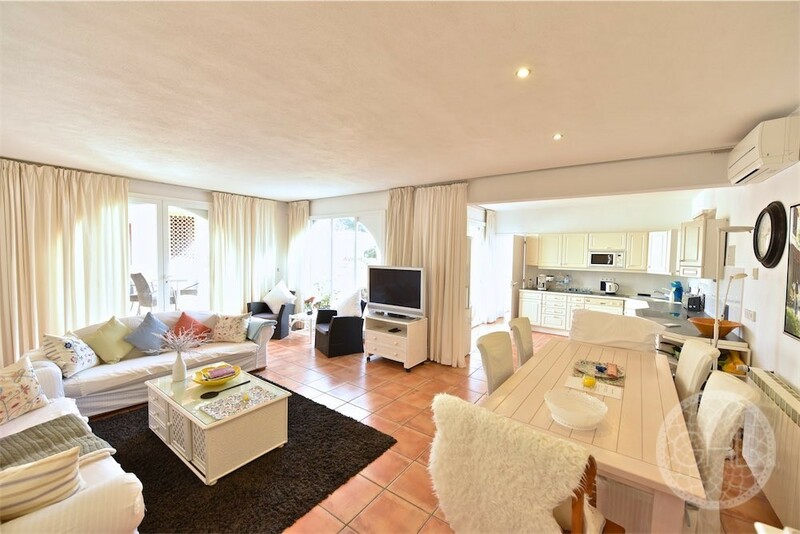 The property has a separate guest apartment with its own kitchen. 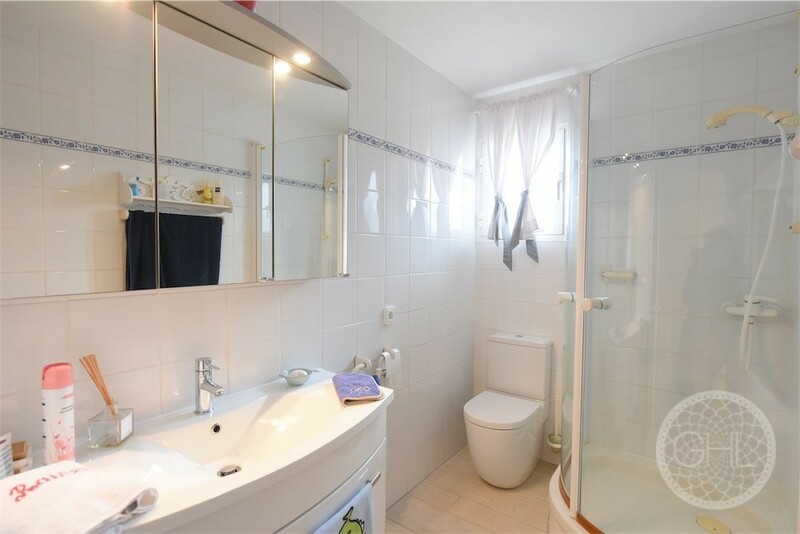 There is central heating throughout, partially underfloor. 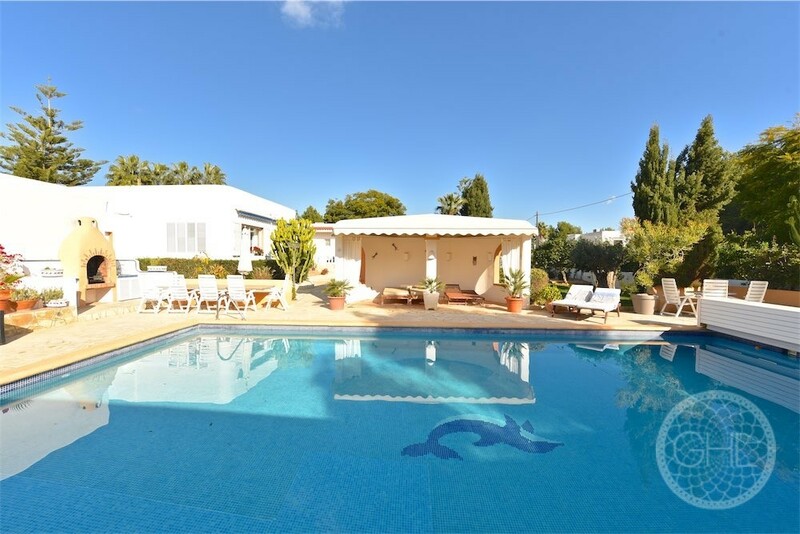 The exteriors are also ample, with a wide area to sunbathe by the pool communicating with its bedrooms and a covered chill-out space for staying fresh by the pool during the hottest days. 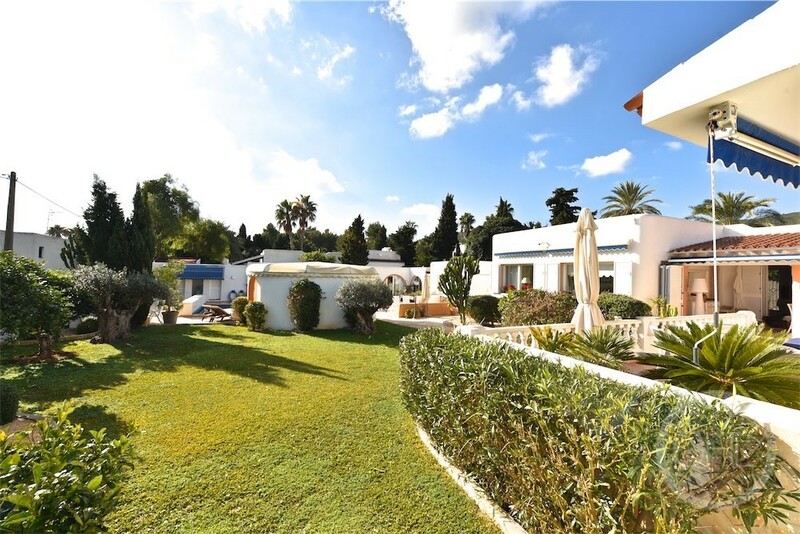 Just around the corner, the sports facilities of Santa Eulalia. 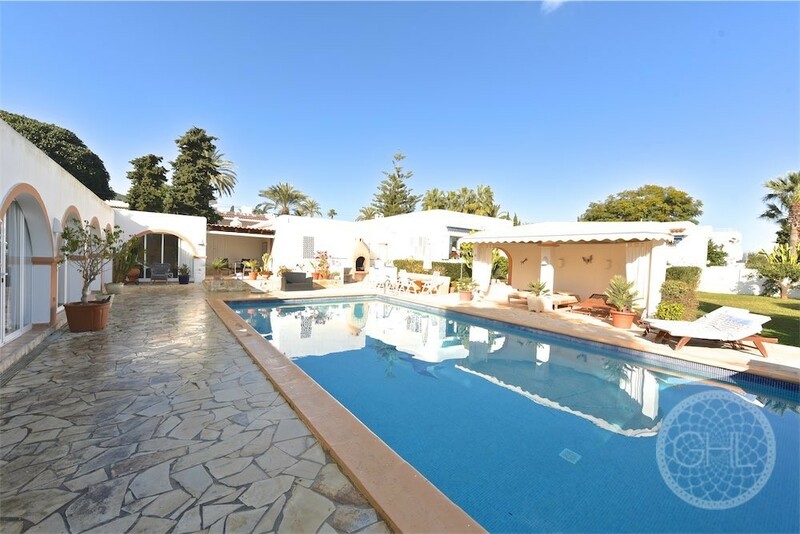 Nothing like taking a lovely splash in the pool first thing in the morning!